In late afternoon, guests were escorted to the terrace of the historic Chicago History Museum. The sun was warm on this beautiful Fall day as friends and loved ones found their seats. The bride and groom’s favorite band played their favorite songs with the picturesque views of downtown Chicago as the perfect backdrop. Kim walked out, followed by the bridal party, and then the bride. She walked out and stood at the top of the cascading steps. She smiled joyfully — taking in the moment, and then walked slowly towards her groom-to-be. 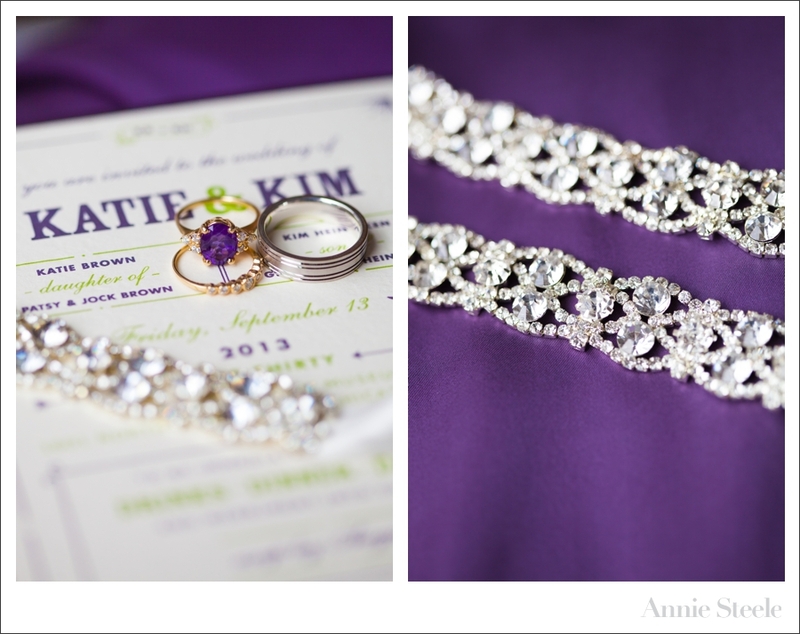 Their personalized ceremony was given by both a close friend and Katie’s brother. It was full of smiles, laughs, memories, and happy tears. As the two vowed their love to one another, friends and family smiled on. Dinner, dancing and celebrating the night away followed Katie and Kim’s gorgeous wedding. 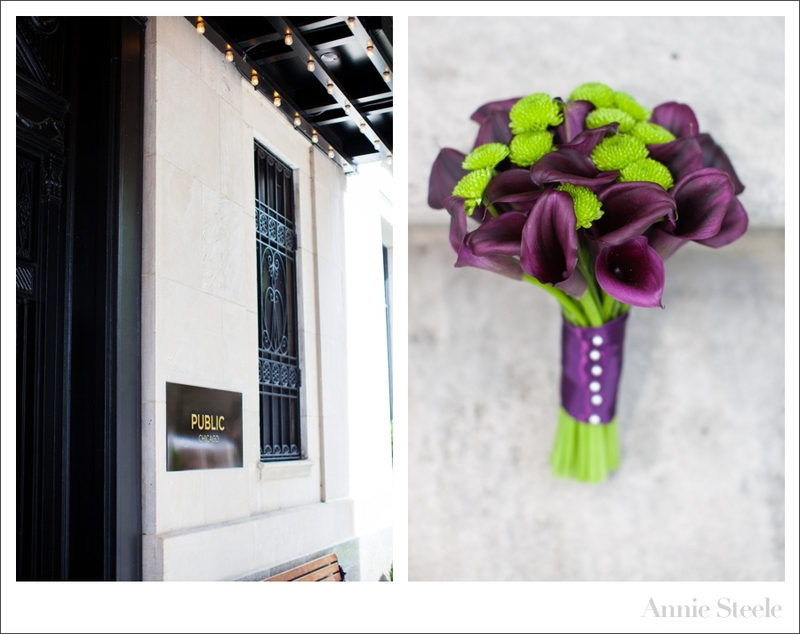 Have I mentioned Katie’s love for purple? And this, is EXACTLY why I love, love, love when Brides and Grooms see one another before getting married! 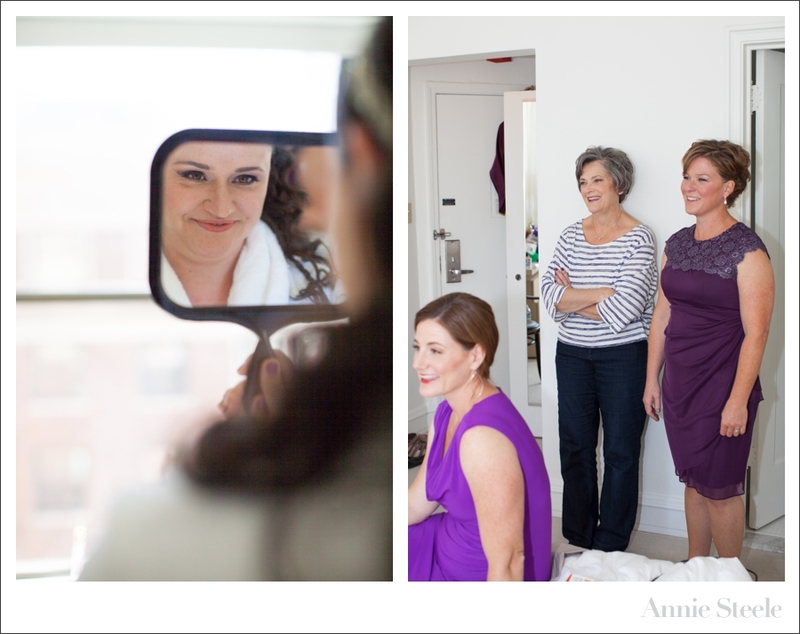 Katie and Kim opted to see one another and have private moments before getting married! I adore every one of these dresses! The inside was decorated beautifully! As the party continued inside, the lovely Mr. and Mrs. shared one private dance outside…together. Dress: Designed by Katrin Schnabl with tailoring by design assistants Brian McIntyre and Jasmine Tsang of Katrin Schnabl LLC.